Have you ever found yourself wondering how cars designed by a specific artist would appear? BMW has done a series of art cars, so you don’t have to guess at Andy Warhol or Roy Calder’s interpretations of their cars. If you were looking for Picasso’s take on a car, what make would you expect it to be? Citroen seems most likely, but the only car with his name on it is the Xsara/C4 Picasso, a small one-box design that doesn’t seem to take anything from its namesake – in fact, the first generation Fiat Multipla is one of the most surreal minivans, with abstract elements like relocated headlights and beltline. There’s also a Citroen 2CV that’s had its body rearranged in a sort of Picasso-esque interpretation of where the parts belong. However, if you’re looking for a Picasso-esque interpretation of a BMW, there aren’t many places to turn. Until now. 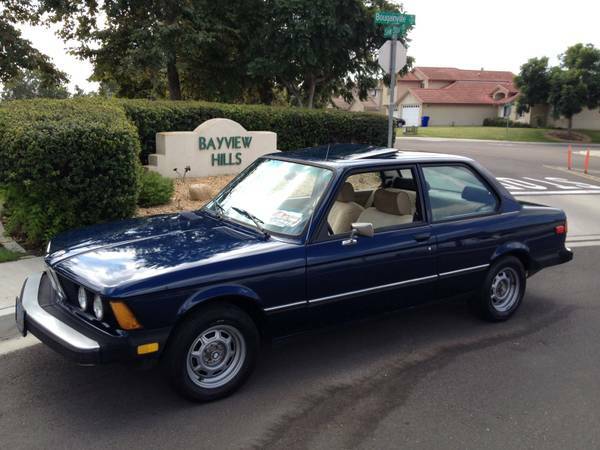 Take a look at this 1981 BMW 320i for sale for $3800 in Milwaukie, OR. As a used car, the E21 BMW 3-series has suffered from being neither fish nor fowl. It wasn’t as pure of a sports sedan as its famous predecessor, and hadn’t yet evolved into the significantly more successful E30 3-series. Part of this was by design at BMW, since they needed a more luxurious entry-level car for the evolving yuppie class to aspire to, and because they needed to accommodate modern safety standards. But part of it was by circumstance – the emissions and safety laws, which had already defaced the later square-light 2002, also had their way with the first 3-series. So what if the 2002 market has slipped from your grasp, but you’re not into the complexity of luxury bits required by moving further into the 1980s E30? Well, you could certainly do worse than buying an E21 that’s had some of the DOT and EPA mess undone. 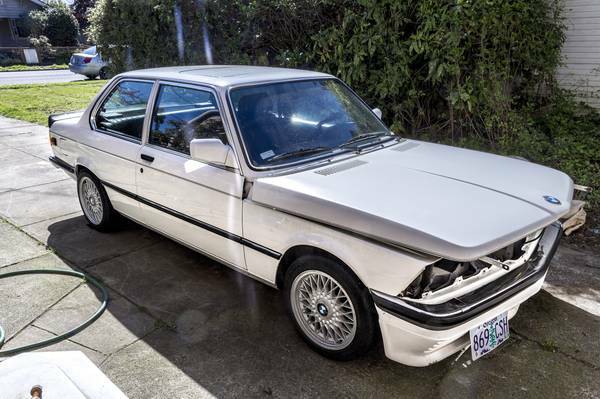 Check out this 1983 BMW 320is for sale for $3500 in Portland, OR. As a continuation of today’s theme, you can find some pretty decent cars lingering on online listings sites. With all the great cars BMW has produced over the years, the E21 is an easy series to overlook. It has the unhappy position of filling the 2002’s shoes, which it did fine as a new car, but not so much as a classic. As such, it has 2002 power, but more weight from safety and smog equipment. It’s also a more muted driving experience than a 2002, having been upgraded to be a more luxurious car. All that considered, it’s still typical of BMW design and philosophy, so is worth considering if you’re looking for affordable alternatives. You can find this 1979 BMW 320i for sale in San Diego, CA for $3000.